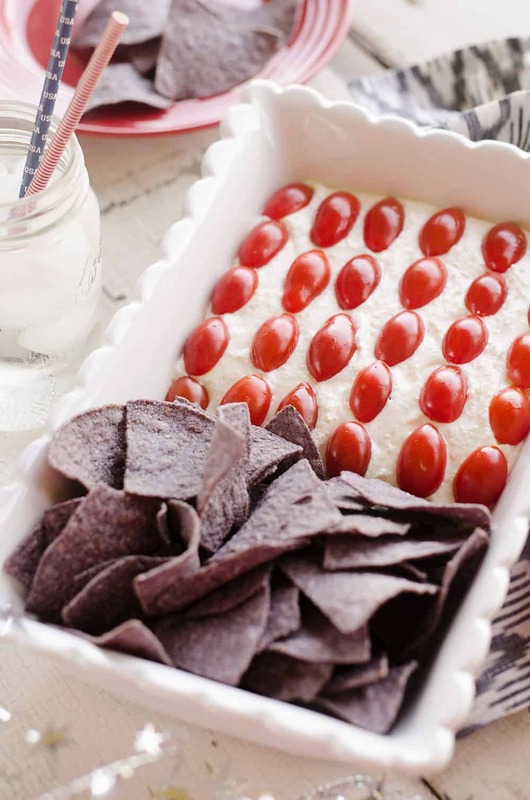 Patriotic Flag Parmesan Garlic Chip Dip is a festive appetizer recipe perfect for a holiday party with red, white and blue colors! 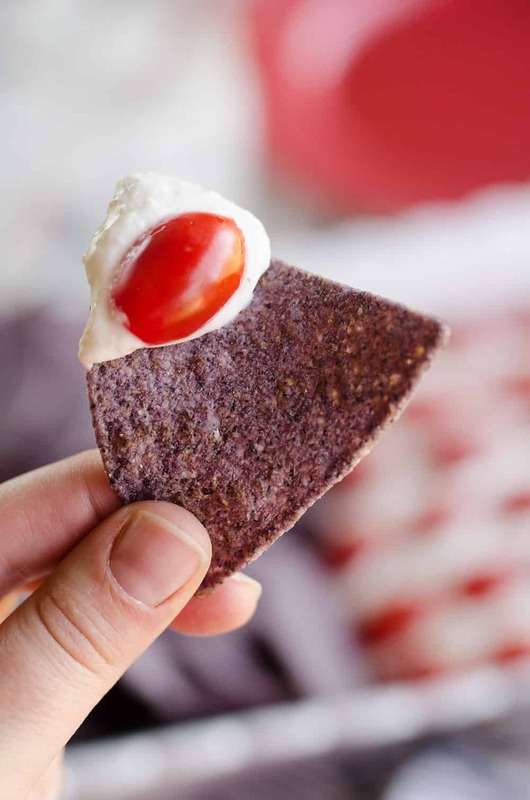 This easy 5 minute Parmesan garlic dip is topped with cherry tomatoes and served with blue corn tortilla chips for a delicious dish sure to be a crowd pleaser. 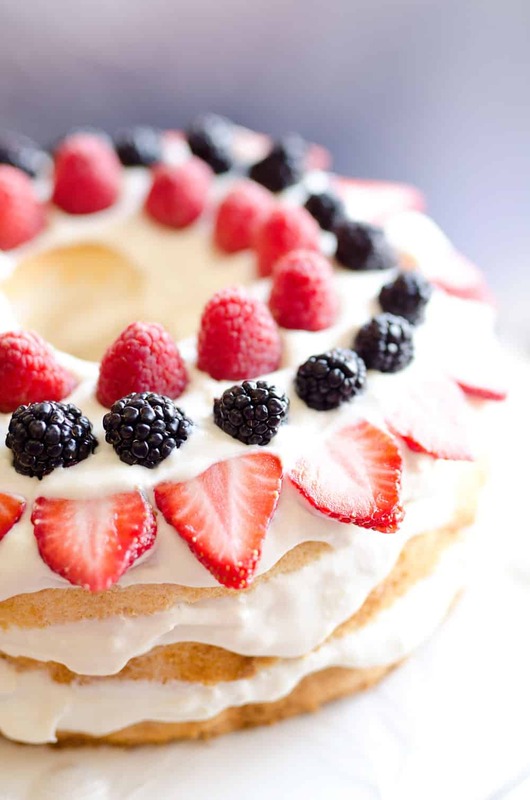 With the 4th of July right around the corner, what is better than a festive red, white and blue recipe to bring to the party?! 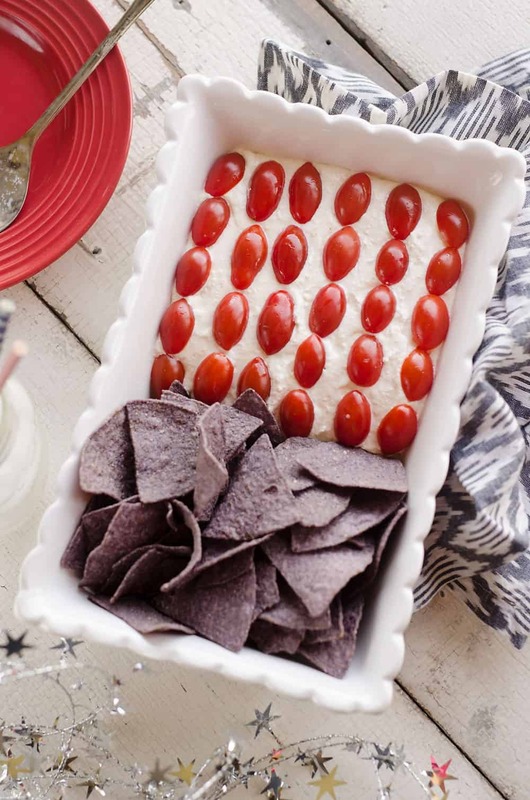 This Patriotic Flag Parmesan Garlic Chip Dip most definitely needs to be on your menu! 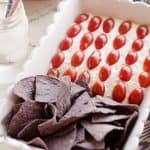 It is a delicious creamy dip made with sour cream, cream cheese, garlic and cherry tomatoes served with blue corn tortilla chips. There is nothing like bringing a show stopping dish to impress all the guests! I am starting to gear up for this year’s Summer Olympics. Last year’s festivities were a blast as usual and I am thinking up fun new ways to embarrass…ehem, I mean spend time with my family. 😉 From water balloon relays to wiffle ball with slip and slides, it is always a great day full of fun games and quality family time. 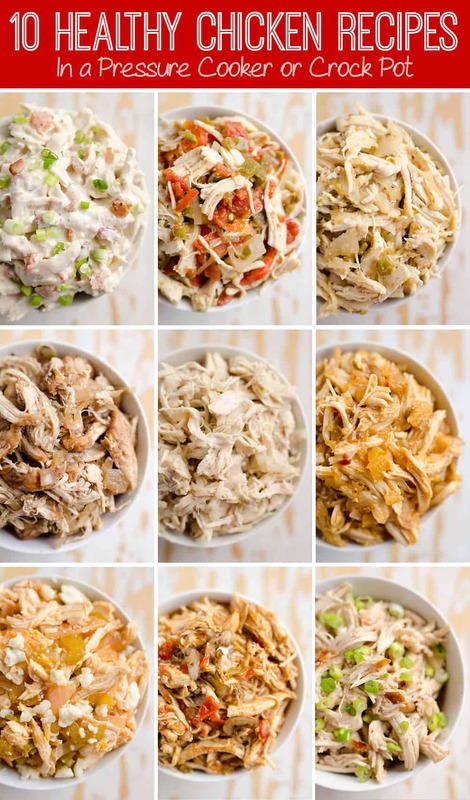 A fun 4th of July celebration like Summer Olympics deserves all of the patriotic red, white and blue food to go with it! Last year I wasn’t all that creative and just had dishes of various candies to fit the theme. This year, I am determined to turn my dishes to pass into something more festive. This Patriotic Flag Parmesan Garlic Chip Dip most definitely fits the bill. Not only is it a beauty but it is a tasty appetizer that your guests are sure to eat right up! 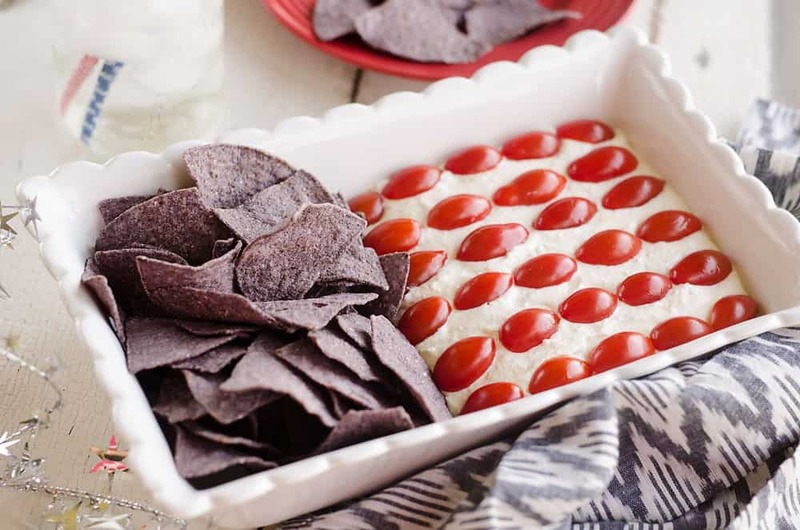 If you are feeling extra lazy like I sometimes am, you could always buy a creamy store-bought dip and just add some cherry tomatoes to the top for the same patriotic feel. No one will know the difference in the end, but will still be impressed with your skills! In a medium bowl, add the cream cheese, sour cream, Parmesan, garlic powder and onion powder. Using an electric beater, mix until smooth. 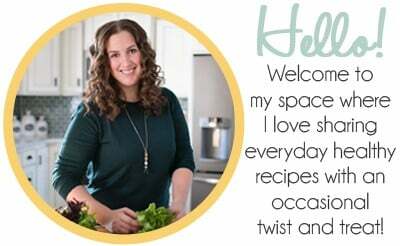 Layer the dip into the bottom half of a white 9x13 dish. Top with rows of halved cherry tomatoes. Right before serving, add the chips to the other half of the dish. Enjoy! This is perfect for Memorial Day!! Thanks for sharing!!! What a great idea! I love blue chips! Ha so FUN!!!! So festive and easy. Thanks for the great party idea for upcoming Memorial Day.